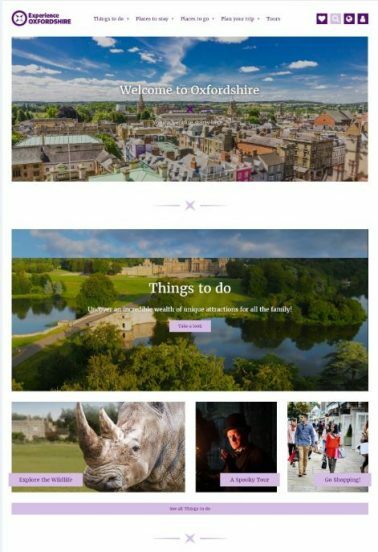 Experience Oxfordshire has unveiled two new websites. This substantial investment has delivered two completely revised websites that feature a new design, content and user friendly navigation. The new visitor website aims to inspire and inform prospective visitors about all there is to see and do in the county. New features include the option to save attractions, tours and hotels to a favourites list and it is also much easier to book tours and tickets through the introduction of a new online shop. The events section of the website has been improved so that it is much easier to see what there is to see and do today, this week or in the coming months. The new Partner website has been redeveloped so that it more effectively showcases the work that Experience Oxfordshire does to promote its Partners and the County as it strives to grow its Partnership network and grow the Visitor Economy. The new website development has been launched in the same week as a new augmented reality (AR) app as part of the England’s Heritage Cities project funded by the Discover England Fund. It consists of an app and videos that transports the user back in time to unveil the hidden lives of some of history’s most fascinating characters at the Bodleian Library. 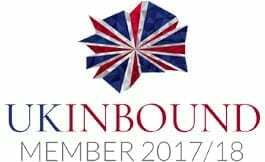 • The Fund supports the growth of one of England’s most successful export industries, inbound tourism. England has seen record tourism spend in the past year from both domestic and international visitors delivering economic growth and jobs across all the English regions. • The Fund will support a number of projects and pilots in year one (2016/17) to test and develop product development approaches and a small number of large-scale collaborative projects that create a step-change in bookable English tourism product for international consumers (in years two and three – 2017-19). A smaller funding pot for new one year projects and pilots, and continuation funding for existing round one projects that can demonstrate early learnings, will also be available.